Vsftpd is one of the most secure and fastest FTP servers for Linux. Usually, vsftpd is configured to work with system users. This document describes how to install a vsftpd server that uses virtual users from a MySQL database instead of real system users. This is much more performant and allows to have thousands of ftp users on a single machine. 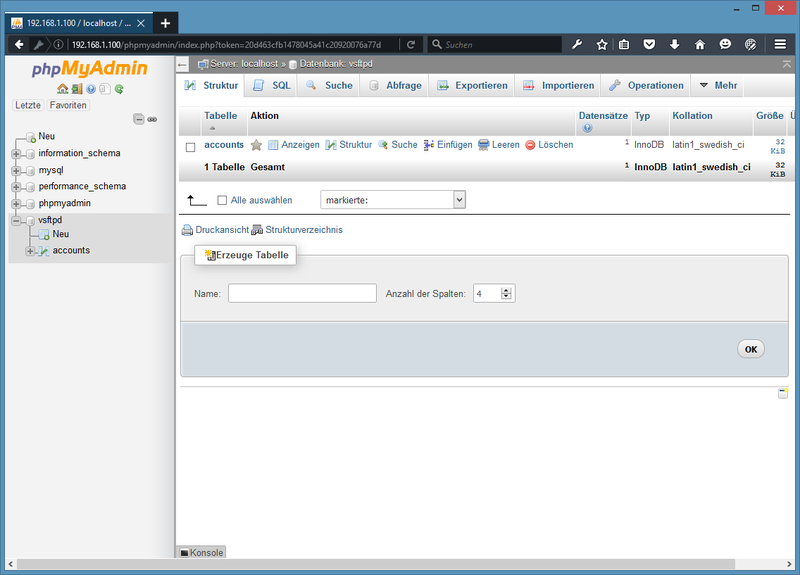 For the administration of the MySQL database, you can use web based tools like phpMyAdmin which will also be installed in this howto. 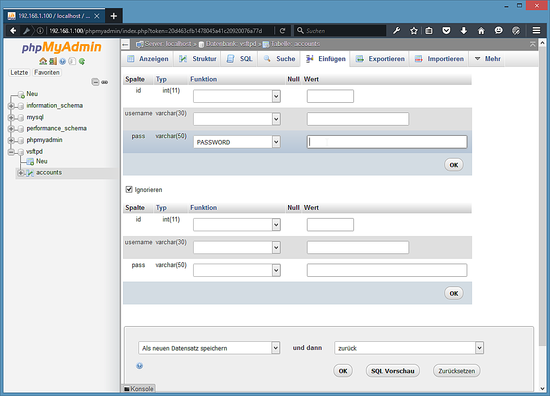 phpMyAdmin is a comfortable graphical interface which means you do not have to mess around with the command line. This tutorial is based on Ubuntu 15.10. You should already have set up a basic Ubuntu 15.10 system. That's it. 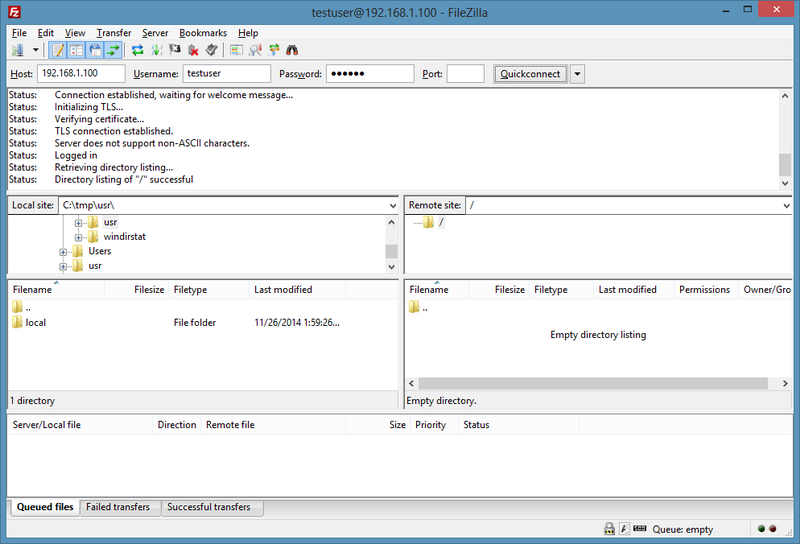 You can now try to connect using your FTP client; however, you should configure your FTP client to use TLS (this is a must if you useforce_local_logins_ssl=YES and force_local_data_ssl=YES) - see the next chapter how to do this with FileZilla. This tutorial is available as ready to use virtual machine in OVA / OVF format for Howtoforge subscribers. The VM format is compatible with VMWare and Virtualbox and other tools that can import this format. You can find the download link in the right menu on the top. Click on the filename to start the download. The administrator user has sudo permissions. I've followed your guide but am unable to connect with the test user. 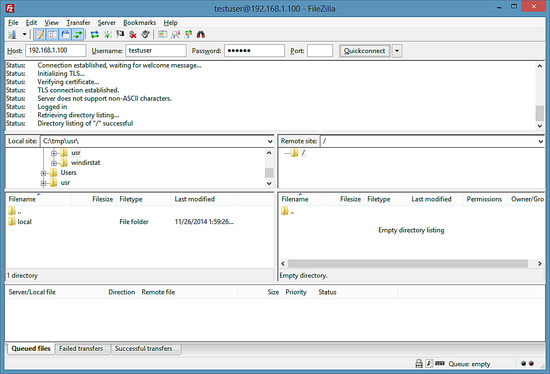 in filezilla I get. I am not sure it is using the SQL db for authentication. Is there a way to verify? There is a NAT device behind my server and client and but stil lnecessary packet inspections are enabled to allow active ftp connections as well. 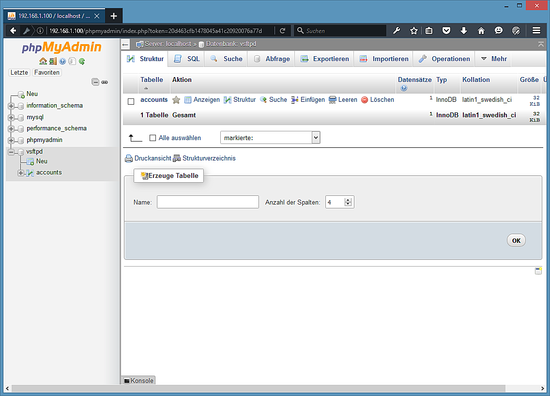 Virtual Hosting with vsftpd + TLS encryption and MySQL on Ubuntu 15.10 as virtual machine image in ovf / ova format, compatible with VMWare and Virtualbox.